Have you ever made a blunder at work but decided to delay fessing up? Have you ever let a distraction get in the way of your work responsibilities? Do you just assume that your boss or leader is correct and follow whatever they say? The curious and tragic case of Varig Flight 254 is an excellent case in point that deals directly with these issues. Importantly it covers the topics of human error and systemic error - both of which are all too common in the workplace. In or around 3 September 1989, Varig Flight 254 was due to depart from São Paulo to Belém, both located in Brazil. The 8-hour flight involved numerous stopovers, but the final stopover was at Marabá. Marabá to Belém represented the final leg of the flight. 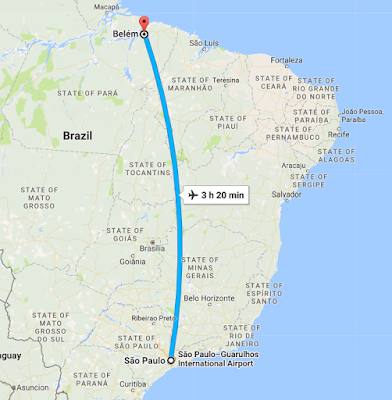 The estimated flight time from Marabá to Belém is roughly about 1 hour. 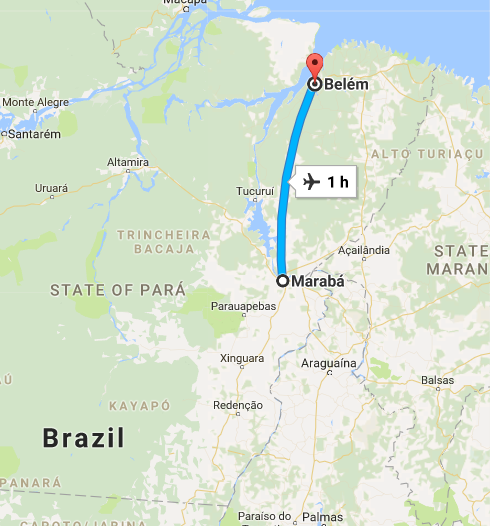 You will see from the above maps that Belém is north north east of Marabá. At that time, the procedure for starting up a flight involved the captain punching in the location of the destination. The captain's co-pilot also had to verify the coordinates. In order to understand what happened I may have to briefly explain what true bearing is. True bearing is a way to measure where one location is in relation to another using the angle created by imaginary lines. For example, with the help of www.geomidpoint.com, I have found that Brisbane sits at approximately 14.1º from Sydney because the imaginary line from Brisbane to Sydney makes an angle of 14.1 degrees with the imaginary vertical line protruding from Sydney as below. 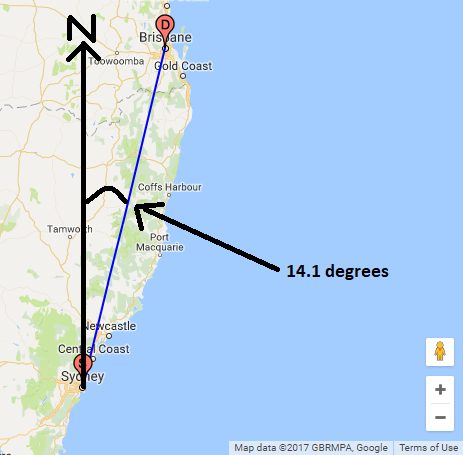 So if you want your plane from Sydney to fly West as a further example, vaguely towards Perth, you'd very roughly be flying at a true bearing of about 270 degrees as per the below diagram. Back to the flight plan. The pilot had assumed that his instructions of 0270 meant 270 degrees true bearing. Unbeknownst to the pilot, the airplane company had recently changed their system of providing flight plans. Previously all flight plans contained a true bearing that was three digits long. The new flight plans contained a 4-digit true bearing. The fourth digit was actually a decimal column! The pilot was allegedly on vacation when this change happened and had not been briefed on this new system. And this makes sense, because you will see that Belém sits above Marabá, presumably creating an angle of about 27 degrees with the vertical. So the pilot punched in 270 degrees instead!!! How many of us have just blindly followed instructions without questioning them? That is what happened here. 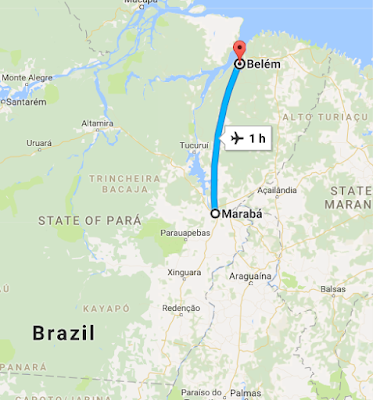 The flight from Marabá to Belém was due to occur at 17:20, when the sun was setting. Many of the passengers observed that the plane was flying directly into the sun, that is, in a westerly direction!! 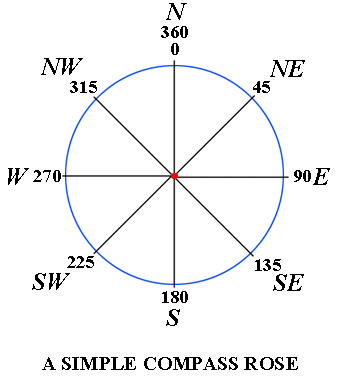 Which matches a true bearing of 270 degrees. These passengers even asked the air stewardess why they were flying west!! The air stewardess just assumed that the pilots knew what they were doing and the message was not passed on. The pilots did not think to question why they were flying West when their destination was North. Unfortunately Varig flight 254 ran out of fuel and an emergency landing was required. Apparently 13 passengers out of 54 occupants died from the crash. After waiting 2 nights for rescue to arrive, a group of brave survivors decided to venture out into the Amazon forest to look for help - and they found some farmers who helped them make contact. Aircraft crash investigators were shocked to find that the plane was in a completely random location, nowhere near the intended destination of Belém. The plane flew west at first; as their flight time was 30 minutes longer than anticipated, the pilots then thought they had overshot the airport so they performed a u-turn. The head pilot saw a river and took this to be the Amazon. So he followed it because the Amazon was a familiar landmark to him, as he had used it on previous occasions to guide him north to Belém. But this was not the Amazon. 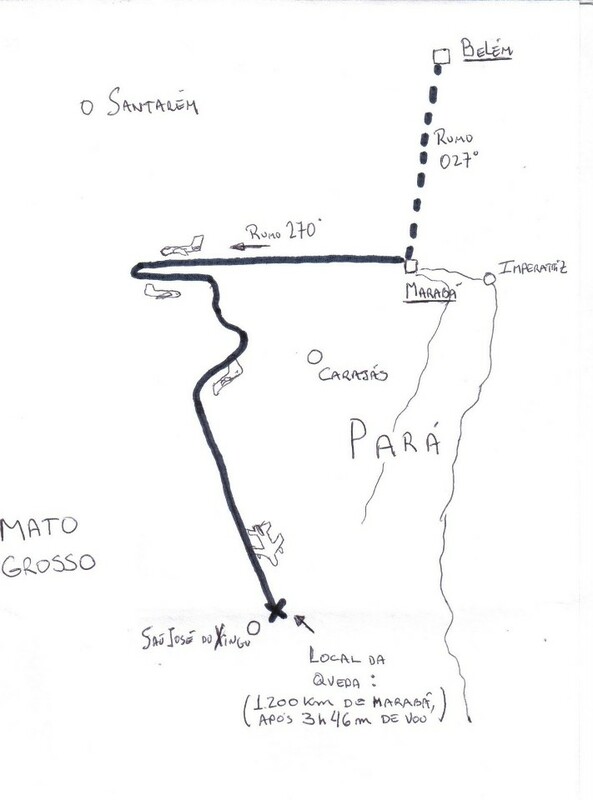 The river was in fact the Xingu river that led the plane south. The full flight path is listed below, courtesy of a few blogs. 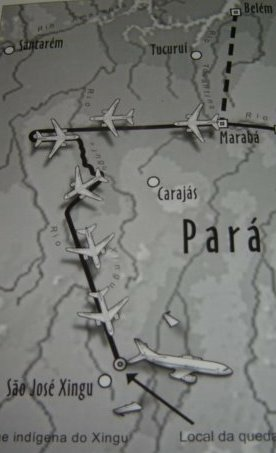 The plane crash site was located some ~1200km away from the destination city. The company did not remind the head pilot (captain) of the new numbering system for the flight plan. Or they did not check whether he had been trained with the new system. The head pilot assumed 0270 meant 270 degrees true bearing rather than 27 degrees true bearing and punched that into the plane system. The co-pilot was supposed to verify the correct true bearing of '0270', but due to some psychology bias, just went along with what the head pilot had put in. It is possible they had flown together before and trusted his head pilot or he just preferred to defer to his superiors. Or he made the same mistake. Fail-safe completely subverted!! Both pilots did not question why they were flying into the sunset, when their destination was north. Apparently the head pilot realised his mistake mid-way through the flight. 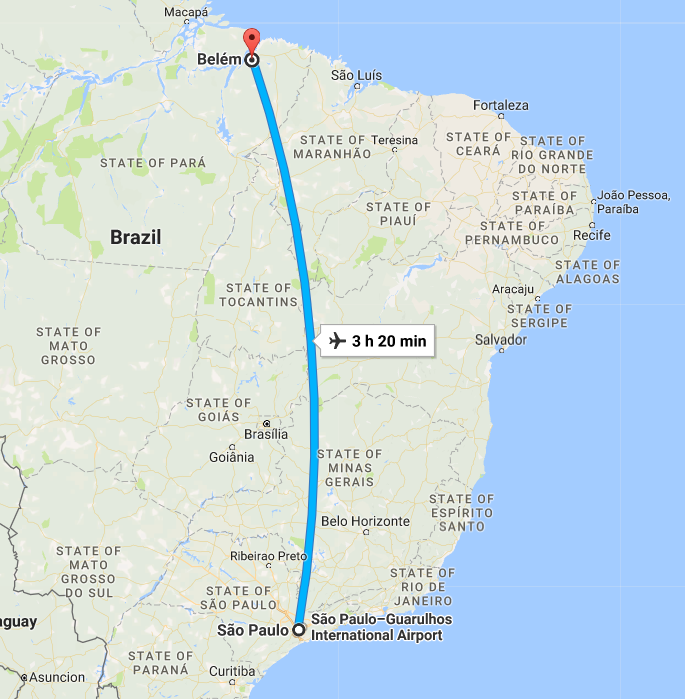 The head pilot apparently did not wish to admit he was wrong during the flight and tried to find 'other ways' of getting back on track, including finding and following a radio signal from a commercial radio station which he assumed came from Belém. When the pilots contacted the communications/control tower in Belém, they used high frequency radio waves, which in itself was a warning sign because the use of those waves implied that the usual communication channels could not work due to distance. The person in charge of the Belém control tower was too pre-occupied with the World Cup Qualification Match between Brazil and Chile which was being played at the same time, so did not report any of the irregularities he spotted as quickly as he could have - including the failure of the plane to land on time, the pilots indicating that they had issues finding the runway and that high frequency radio waves were being used. In an example of confirmation bias, the head pilot tried to find a familiar landmark to assure himself that he was on the right track. He found a river which he assumed was the Amazon heading North into Belém. It was in fact the Xingu River, which was leading him south. The emergency beacon signal - which is released when the plane crashed - was not located because the aircraft crash investigators did not think to look so far south for the signal. The air stewardess did not pass on the concerns of the passengers to the pilots. In my view the key culprit would have to be the system, at point number 1. The system should be as fool-proof as possible. If it's true that the pilot was not updated of the new numbering system, it's quite understandable why someone would enter that true bearing in and not question it -- although a more alert pilot might start to question this decision after take off. The head pilot was arguably also at fault for not swallowing his pride and advising the communications tower at Belém of his mistake. I think this is a great example that is directly applicable to the workplace. Just because you are given instructions to do something does not necessarily mean you should just blindly follow those instructions. I think we need to at least ask the right questions.